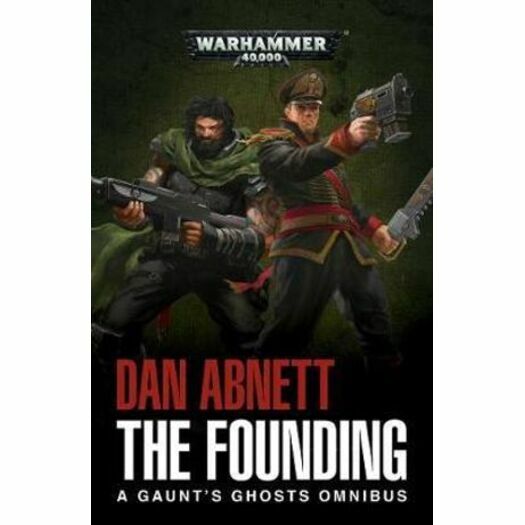 New edition of the first Gaunt's Ghosts omnibus, containing the opening story arc in the series, comprising the novels First and Only, Ghostmaker and Necropolis. In the Chaos-infested Sabbat System, the massed ranks of the Astra Militarum - more commonly known as the Imperial Guard - stand shoulder to shoulder as they counter an invasion by heretical forces. Amongst the defenders of the Imperium are the troops of the Tanith First-and-Only, a displaced regiment forced to flee their home planet before it succumbed to the unrelenting assault of Chaos. Nicknamed 'the Ghosts', their specialist scouting role sees them thrown into the thickest of the fighting. Led by Colonel-Commissar Ibram Gaunt, they must evade the treacherous scheming of rival regiments and the lethal firepower of the enemy if they are to have any hope of achieving victory over the forces of Chaos.